John Richardson is an Oscar-winning special effects supervisor and designer, who has been involved in over 60 movies, including nine James Bond adventures, all seven Harry Potter films, Aliens, Superman, A Bridge Too Far, Straw Dogs, The Omen, Cliffhanger, Far and Away, Willow ... and many, many others. In creating the magic that flows through these films, be it by means of creating huge explosions, beheading a man, producing futuristic gadgets, making a man fly or breathing life into creatures that both amaze and haunt us, Richardson holds a unique place in cinema history. The son of pioneering F/X technician Cliff Richardson, he learned his trade at the feet of a master of the craft, and by building on his father's early work and pushing boundaries further, Richardson not only delivered the end result but also ensured that none of his stars were ever injured. 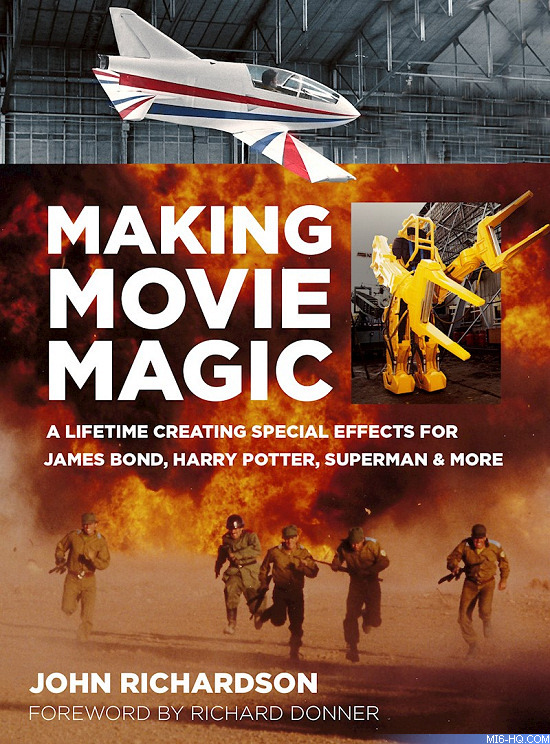 With over five decades of adventures under his belt, and a vast photographic collection of unseen pictures, Richardson now lifts the lid on his exciting and fascinating career of creating movie magic.